I can’t imagine there are too many people who expected to read about the proposed merger of Sainsbury’s and Asda over their cornflakes yesterday morning, but happen it did. It seems wholly surprising that two rivals should see a way forward together, but given the woes of the sector it makes commercial sense. 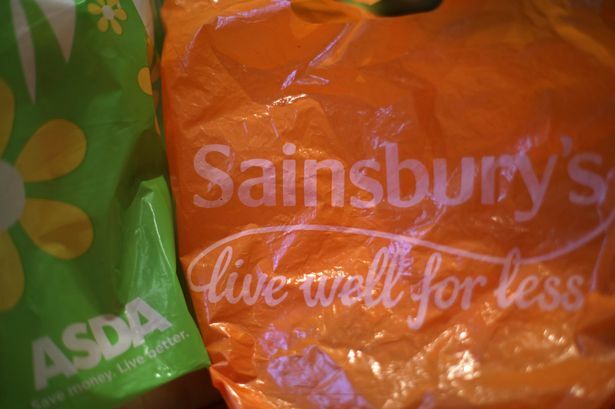 The discounters are well and truly eating Sainsbury’s and Asda’s share of the market. Aldi and Lidl have built attractive brands opening up the wallets of those traditionally loyal to Tesco and Asda. Indeed, Aldi has been so successful it’s now moved ahead of The Co-Op to take number 5 spot in the supermarket charts. Not to be outdone, Iceland has recently spent millions to convince us that frozen means high quality. It’s moved away from its ‘I’m a Celebrity’ perception to attract new customers, but in such a way that it’s not left behind its core market of those stretching a budget. Squeezed incomes, the growth in online shopping, changing consumer habits and inflated rates are taking their toll so it’s no wonder that the merger is seen as a route to survival. Discounters have eroded revenue and their value to consumers. That’s especially true for Asda – there was a day when Asda had the discount market covered, now it has been exposed by Aldi and Lidl who do it better. The merger is therefore a strategic means to reverse this. There will be huge rewards in the collective buying and negotiating power of the two brands. It will give Asda more of a leg up into the discounting market, and help Sainsbury’s maintain a more premium brand that’s perceived as good value. That’s important because Graystone Strategy insight shows that Asda over indexes the market by 3% on Internet Investigators and Digital Devotees, while Sainsbury’s share of Service Seekers and Settled Senior is up 3% on the market. It’s therefore sensible that both supermarkets keep their separate brands. They can tackle different segments but still offer great value derived from economies of scale. And of course, there will be huge operational benefits and costs savings from managing more streamlined back ends together, especially with things like logistics or loyalty systems. The real challenge will be managing two very different organisations and cultures and instigating a meeting of minds. Having worked for both brands in my time I testify that the DNA of each brand is markedly different. Sainsbury’s is a marketing lead organisation and places enormous value on Nectar, evidenced by them buying the brand for £60million. The teams there use data and customer insight to offer segmented offers and grow value. Asda couldn’t be more different and is a sales and discount driven company. It seeks cost reductions at all times to pass on to customers. Until recently they would have dismissed the value of loyalty schemes and data analytics. However, the pressures of trading will be forcing them to re-evaluate this approach. The deal, assuming the CMA says it can go ahead, will bring huge benefits to consumers. And I’ve no doubt it will shake up the market. It has to because already in my mind the big question is how will the likes of Morrisons respond? It’s now in a very difficult position and needs to make its deal with Amazon work hard. That takes marketing power and an acute understanding of customers’ lives and budgets. But as we saw yesterday, that’s not enough. You also need an appreciation that the game could change at a moment’s notice. How they, and the other supermarkets, play the game only time will tell but one thing is sure, if customers aren’t central to the strategy there will most certainly be losers.